The Leitsatz (thesis statement) for §9 states: "The God who reveals Himself according to Scripture is One in three distinctive modes of being subsisting in their mutual relations : Father, Son, and Holy Spirit. It is thus that He is the Lord, i.e., the Thou who meets man’s I and unites Himself to this I as the indissoluble Subject and thereby and therein reveals Himself to him as his God." 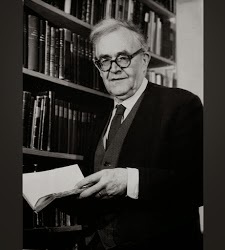 In subsection §9.4 ("The Meaning of the Doctrine of the Trinity"), Barth would like to explore the meaning behind the trinity and ask important questions about the doctrine in light of the fact that scripture does not (on the surface) seem to directly support the doctrine, leading to the charge by critics that the early church was infiltrated by an external philosophy which gave rise to such an idea. The biblical witness to God’s revelation sets us face to face with the possibility of interpreting the one statement that “God reveals Himself as the Lord” three times in different senses. This possibility is the biblical root of the doctrine of the Trinity. But in the Bible it remains on the level of possibility. We are now asking about the meaning of its actualisation. With what necessity and right did the Church formulate this dogma? It could do this. Did it have to do it? What insight was it expressing in the dogma and what reason have we, then, to take pains to understand it? Now obviously we cannot discuss this question intelligently if the Church of earlier days which framed this theologoumenon and gave it the status of dogma has become so alien to us that we can view and evaluate it and its intentions only historically, i.e., in this case from outside, as strangers, not really thinking its thoughts with it. This would be so, e.g., if we could not rise above the recollection that in the controversies before and after Nicaea a very considerable part was played by very non-theological antipathies in ecclesiastical and civil politics, in court relations, and in national and certainly economic matters as well; or if we could not rise above the recollection that the development of the dogma of the Trinity is unquestionably a chapter in the history of the philosophy of later antiquity, an offshoot of Stoic and Neo-Platonic Logos speculation... (376). No one can say that he knows, and no one is competent to declare, that only pious reverence for a venerable landmark of Christianity has preserved some place for the doctrine of the Trinity in a more or less clear form even in the Evangelical Church as it is now ravaged by Modernism. This fact gives us the external right too, and indeed imposes upon us the task, of enquiring into its meaning at this point. We should start with the fact that the rise of the doctrine of the Trinity, however varied the factors which contributed to it, was at least governed also by the need to clear up a question with which the Church saw itself confronted by Holy Scripture in the delivery of its message. Assuming that the Church is not only unfaithful by nature, as it has been, of course, in every age, but is also in some degree and sense faithful, so that in its proclamation it has tried to take up the witness of the Old and New Testaments, there can be no cause for surprise that it has come up against the question which found an answer in the doctrine of the Trinity. Nor can there be any cause for surprise that it came up against this particular question in such a relatively early period, nor need we be surprised at the violence of the conflicts into which it was plunged by this question and the inexorability with which it has adhered through the centuries to the broad line achieved at that time. The question which arose for it out of the commitment of its proclamation to Scripture, and which it answered in the doctrine of the Trinity, was in fact a basic and vital question of the first rank for Church preaching and therefore for Church theology too. We thus regard it as right and proper to put discussion of this question at the head of all dogmatics. This is a practical outworking of what many have said theoretically about its significance from the very earliest times. But the question that is answered by the doctrine of the Trinity is a very specific question regarding the basic concept of the revelation of God or the basic fact of it as attested in Scripture. Even if it be regarded as a mere offshoot of the Logos speculation of later antiquity one must at all events concede that its occasion at least is the manifestation of Jesus Christ understood as the revelation of the Logos. It is trying to discuss the deity of this revealed, incarnate Logos. Its second theme, the concept of the Spirit, points in the same direction. And when it speaks of God the Father it is dealing with the point of origin and relation of these two, the Son and the Spirit. The specific question about revelation which is answered by the doctrine of the Trinity is, however, the question who it is that reveals Himself, the question of the subject of revelation. One may sum up the meaning of the doctrine of the Trinity briefly and simply by saying that God is the One who reveals Himself. But if this meaning is to be fully perspicuous one must also reverse the emphasis and say that God is the One who reveals Himself. For the strictness and logic of the answer to the question about the subject of revelation consist in the fact that as we enquire into the interpretation of this answer we find ourselves referred back again to revelation itself. The Church doctrine of the Trinity is a self-enclosed circle. Its decisive and controlling concern is to say with exactitude and completeness that God is the Revealer. But how can it say this with exactitude and completeness unless it declares that none other than the Revealer is God? One might put this more simply by saying that the doctrine of the Trinity states that our God, namely, He who makes Himself ours in His revelation, is really God. And to the question, But who is God? there may then be given the no less simple answer, This God of ours. Is it not true that the main answer and the subsidiary answer are the simple but no less momentous presuppositions of all Christian thought and talk about God? The first and last criterion of Christian proclamation is whether it moves in the circle indicated by these two answers. Christian theology can be only an exercise in this movement. The question of the subject of revelation and therefore of all God’s dealings with man, which the Bible itself does not answer but poses in all its sharpness, calls indeed for an answer. Can we not understand the haste with which men felt called to answer it and the undoubtedly extraordinary zeal with which they set about this work? Was this not precisely because it was such a simple and yet such a central matter? And could the question be answered in any other way? Or is this problem not really set in the Bible? Could it be answered otherwise than it has been answered in the doctrine of the Trinity? The problem which we think we see posed in the Bible and which points towards the Church doctrine of the Trinity consists in the fact that the being and speech and action and therefore the self-revealing of God are described there in the moments of His self-veiling or self-unveiling or self-impartation to men, that His characteristic attributes are holiness, mercy and love, that His characteristic demonstrations are denoted in the New Testament by Good Friday, Easter and Pentecost, and that His name is correspondingly the name of Father, Son, and Holy Ghost. The Bible does not state expressly that the Father, Son and Holy Ghost are of equal essence and are thus in the same sense God Himself. Nor does it state expressly that thus and only thus, as Father, Son and Holy Ghost, God is God. These two express declarations, which go beyond the witness of the Bible, are the twofold content of the Church doctrine of the Trinity. (379-381). And yet these two declarations referred to just now reveal that in the doctrine of the trinity the Church has been able to avoid the error of Subordinationism, which suggest that there is a 'more' and a 'less' in the being of God. The doctrine of the trinity protects against that error. It also protects against the error of Modalism, which suggests that the three moments are alien to God's being as God. The doctrine protects against that error. In other words, Modalism (a.k.a. Sabellianism) is a trinitarian heresy which does not view Father, Son and Spirit as three particular “persons in relation” but merely as three modes or manifestations of the one divine person of God. Thus God comes in salvation history as Father to create and give the law, as Son to redeem and as Spirit to impart grace. The doctrine of the Trinity tells us—this is the positive thing which it was defending on the polemical fronts—how far the One who reveals Himself according to the witness of Scripture can in fact be our God and how far He can in fact be our God. He can be our God because in all His modes of being He is equal to Himself, one and the same Lord. In terms of the doctrine of the Trinity knowledge of revelation as it may arise from the witness of Scripture means in all three moments of the event knowledge of the Lord as the One who meets us and unites Himself to us. And this Lord can be our God, He can meet us and unite Himself to us, because He is God in His three modes of being as Father, Son and Spirit, because creation, reconciliation and redemption, the whole being, speech and action in which He wills to be our God, have their basis and prototype in His own essence, in His own being as God. As Father, Son and Spirit God is, so to speak, ours in advance. Thus the doctrine of the Trinity tells us that the God who reveals Himself according to Scripture is both to be feared and also to be loved, to be feared because He can be God and to be loved because He can be our God. That He is these two things the doctrine of the Trinity as such cannot tell us. No dogma and no theology as such can. The doctrine of the Trinity as such is not the Word of God which might tell us. But if there is a ministry to this Word of God, a proclamation which can become the Word of God, and a ministry to this ministry, dogmatics as critical reflection on the proper content of proclamation, then the question as to the subject of revelation, to which the doctrine of the Trinity is an answer, must be the first step in this reflection. Scripture, in which the problem of the doctrine of the Trinity is posed, is always the measure and judge of the solution to this problem. It stands above the dogma of the Church and therefore above the critical reflection to which we let ourselves be led by the dogma of the Church. But all things considered we venture to think that, pending better instruction, this leading is an appropriate one (382-383).